This change touches on a long-standing grievance that clients have with ad agencies: a weak appreciation for the business results of the work. In the 1960’s advertising world of Don Draper, there was a hard line between the client and the agency. The agency delivered a creative campaign and the client worried about the P&L. This mindset has not evolved that much in the last 40 years (as a funny aside, an agency planner told me recently that all the agencies he knew were installing Don Draper drink carts). 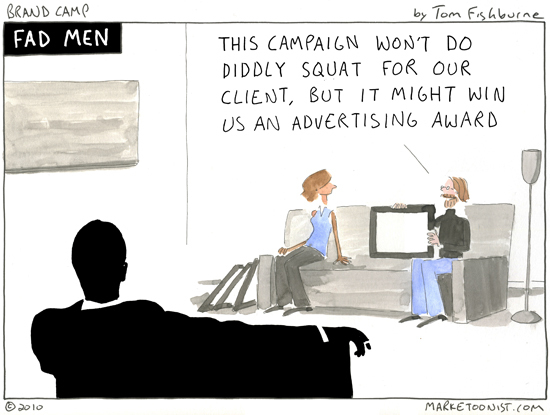 It is taboo to question the ROI of an advertising campaign. Yes, campaign ROI is difficult to measure, particularly in the short-term, but often there’s not even an attempt to think in those terms. As a result, what is sometimes rewarded in advertising is the subjective creativity of the idea, disconnected from the end result to the business. Advertising concepts are rated on their novelty not necessarily their potency. I find it interesting that method, innocent, and howies are all brands started by former agency planners. These brands inject creativity into the day-to-day running of the business. 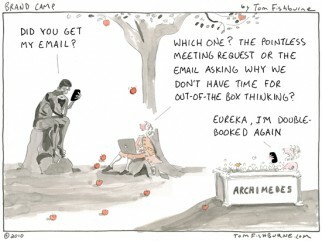 And they have to think about the ROI of the work that they do. The more remarkable brands blur the lines between client and agency. Check out http://www.comparethemeerkat.com for an example of brilliant (and brave) creative that has a direct and measurable impact on the bottom line. The objective was simple drive people to the insurance comparison website. The insight was that prior to the campain customers were regularly mistyping the website’s address typing instead ‘comparethemeerkat’ (or variations there of) rather than ‘comparethemarket’. From this clever inisight and a clearly defined and measureable objective a superb creative campaign was built. 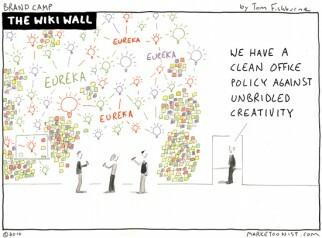 which begs the question is writing a good agency brief a dark art or a teachable skill?